Engineers and biologists at the University have shown how a recent theory – that skin has ‘sleeping’ stem cells which can be woken up when required – best explains how our skin constantly regrows. The research – conducted in collaboration with The Procter & Gamble Company (P&G) and published in Nature Scientific Reports – has implications for combating the effects of aging and perhaps even skin cancer. 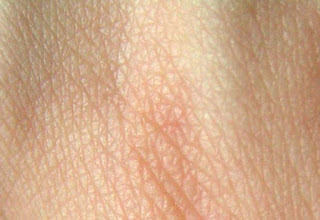 The Sheffield/P&G team developed an “in silico” (computer) model of human skin biology, capturing how the outer layers of the skin are developed and maintained over time. This model simulation or “virtual” skin was then used to test the three most popular theories of how skin cells function to regenerate our skin, the largest human organ, over a three-year period. When the simulation was run according to two of the theories, the virtual skin failed to fully regenerate. Only one theory enabled the virtual skin to still be in good shape after three years, as Dr Xinshan Li (University of Sheffield Faculty of Engineering) and Dr Arun Upadhyay (P&G), the lead co-authors explained in their research. 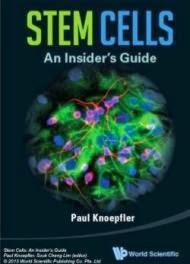 "The theory which seems to fit best says that skin has a population of ‘sleeping’ stem cells, which sit in the lowest layer of the skin but don’t constantly divide to make new cells. However, these sleeping cells can be called into action if the skin is damaged, or if the numbers of other types of more mature skin cells decrease, ensuring that the skin can be constantly regenerated under all conditions." Dr Li said. The model showed that we gradually lose these sleeping stem cells over time – which would explain why our ability to regenerate our skin reduces as we age. "Each time we wake up these cells, to heal a wound or replenish stocks of other cells, a few of them don’t go back into sleep mode, so the population slowly reduces. This explains why older skin is slower to heal and in part why our skin changes as we age. By understanding this mechanism better, it might be possible to find ways to combat the effects of aging on our skin." says Dr Li. Computer modelling of skin biology is the latest step in the evolution of skin science. It allows scientists to project the activity of tissues like skin that are difficult to follow in live systems for extended periods. Currently, 3-dimensional cultures of engineered human skin are viable for only a few weeks and clinical studies in humans are only practical for a few months. With the development of in silico models scientists can predict for the first time what happens in skin over years and even over decades. "These models permit exploration of hypotheses in very short periods of time, relative to the lab based bench work. In silico modelling can significantly shorten R&D programs, and help focus subsequent lab or clinical work on the options with the greatest likelihood of succeeding. This is another reason why in silico models are an effective complement to more established research tools and methods." says Dr Upadhyay. The ability to follow virtual skin models over decades may be especially important to skin cancer research. Environmental damage caused by UV exposure or chronic wounding can cause sleeping cells to harbour the mutations which cause skin cancers such as basal cell carcinoma, a very aggressive type of skin cancer. "The stem cells can harbour mutations over years, but with no effect if they’re still in sleep mode. However, when they start to divide to heal a wound for example, this could trigger the cancer. If it’s possible to study this phenomenon over long periods of time it may be possible to find ways to prevent the activation of mutated cells and so reduce the risk of developing the disease." explains Dr Li. This study is an excellent example of how computer modelling can enhance our long-term understanding of complex processes such as skin aging. Dr Upadhyay, a physicist-turned-computational biologist, drew inspiration from the great physicist Richard Feynman in summarizing the study, noting that "you really don’t understand something until you have built it from scratch. By building the virtual skin model from a few cells into a tissue capable of self-renewal, we have moved a big step in our understanding of stem cells and skin renewal."